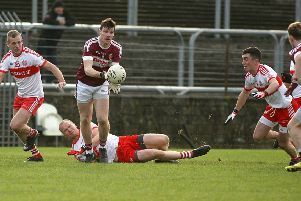 Derry GAA have announced a new two-year sponsorship deal with H&A Mechanical Systems. 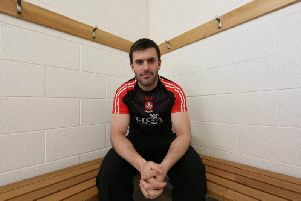 The deal, which sees the Derry heating and engineering firm extend their sponsorship arrangement with the county until the 2020 season, includes sponsorship of all Derry GAA inter-county teams from minor to senior level. The county unveiled its look for the next two seasons with a launch event at O’Neill’s Sportswear in Waterloo Place, Derry attended by Derry senior footballers Brendan Rogers and Thomas Mallon, former Christy Ring All-Star hurler, Alan Grant and Ulster minor and U20 winning goalkeeper, Oran Hartin. “I would like to thank Hugh and Anne McWilliams and all at H&A Mechanical Systems for their continued support of Derry GAA at both club and county level,” said Brian Smith, Derry County Chairperson. “We are proud to be associated with such a successful and vibrant community-focused company who are also a major employer in the local economy. “2018 has also seen O’Neill’s Sportswear open a major new presence in our city, the second such store operating within our county. “I want to wish them well with all their business endeavours and also thank managing director Kieran Kennedy and his staff for their professional assistance in the design and production of our new jersey. “Best of luck to all our players for the incoming season. The red and white jersey has a rich legacy and connected history over many generations and I know our players will wear it with pride.